About Seeds of Love and the Botsford’s. Now let’s get this right!! There’s a lot of talk out there on why is it so important to keep hammering home the topic of ‘The reality of Hell’ especially during the Christmas season. We want happy go lucky make me feel good messages this season not a heavy scary topic such as Hell. Well this is all I can say the topic of the reality of Hell is quite definitely one of Joy when looked at from it’s depth of perspective that is offered here. Yes Hell is an actual physical place full of eternal experiential torments just as Jesus taught but that’s the good news of the gospel…Hell can be avoided…God gave us the answer by way of His Son Jesus!!!!! injury brought on in a world designed for the non-disabled. thrive when fueled by His love from on high. Be sure to get your pre-release books by clicking below…And remember those that need to hear/read a story such as this…small investment to make to help secure a Heavenly Eternity for someone else!!! There’s a realm ruled by love and a realm ruled by evil. The aforementioned realm is where the spirit of God resides and operates from and the last realm is where Satan and his demonic chronies dwell and deceive many men of the present world today. Written in Gods infallible word the Bible He gives us the answer whereby we are to live out our lives. He says choose life not death. Choose good not evil. By choosing life we are making decisions about our lives with Jesus in our heart and Holy Spirit as our Guide. Seek first the kingdom of God and all else will be added. That’s choosing love. That’s choosing God for He is love. Sit with Him for awhile and see what He has for you today. Breathing air is not something a person thinks much about unless they have a breathing ailment or the air is contaminated to the point of causing irritation yes? Could it be that in Hell is no said Spirit of life only ones soul to be cast unto eternal torment ultimately to be thrown into the lake of fire at the end of the ages? Today on 18th year of my release from Hell by the Almighty I’m reflective of that horrific event. I had no breath in the dark cell. There was no air for me to breath yet I felt no suffocation either. I felt an eternal nonexistence. A horrifying knowing that I was no longer alive. No breath. No thoughts no emotions. Flooded and overcome with despair, dread and hopelessness in a pitch black eternal realm outside of God where evil resides and has been given an authority of it’s own. Nine-millimeter shots rang out from every direction. The shooter stood on the corner of the cracked concrete sidewalk. He squeezed the trigger of an Uzi machine gun, anger pumping through his veins, spraying bullets into the crowd outside of the building. Matthew was hit from behind, the 9 mm bullet piercing the back of his head, instantly knocking him to the ground… dead. A Day in Hell is the riveting, true-life account of one man’s descent to the bowels of hell after dying from a gunshot wound to the head in March of 1992, and the true, wholehearted prayer of love by his newly wedded wife. Matthew survived, waking up twenty-seven days later. 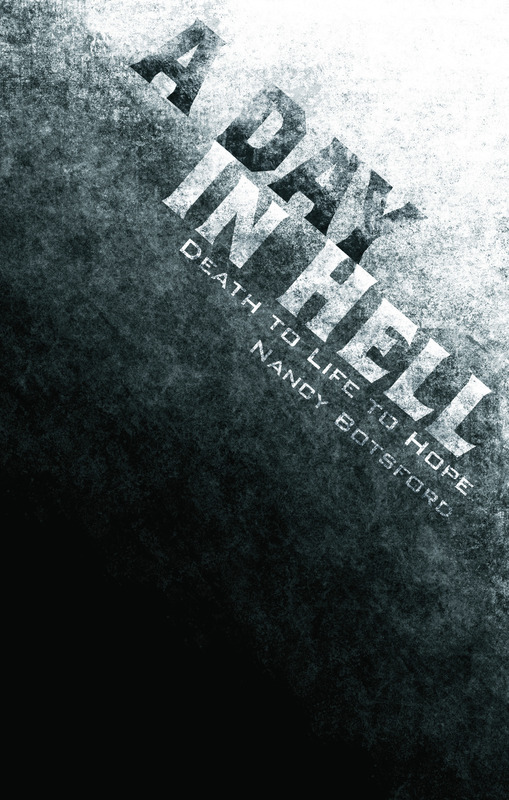 Unbeknownst to all those surrounding him, God had pulled him from his cell in hell and said, “It’s not your time.” A Day in Hell is a story flooded with hope and inspiration as this young couple figures out how to plot their new life.